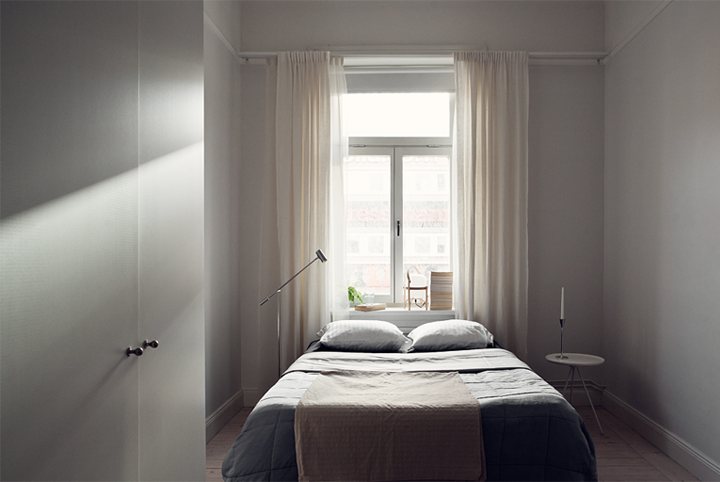 With this simple and cozy bedroom I suggest to finish the day here at 79ideas. I don’t know what attracts me more there – the beautiful afternoon light or the bedroom itself. The high ceilings increase the space visually and I really like the idea of turning the window sill into a mini library. Grey interiors are my favorite. That cozy room makes me want to take a nap! That looks like a gorgeous bedroom to wake up in! White-framed windows bring in so much more light. I can’t explain how exited I was when I saw for the first time this lovely Scandinavian white house.